Stephen Gostkowski, K (Patriots): Two years, $8.5MM (original story). $4.25MM each year, with cap numbers of $3.05MM (2019) and $5.45MM (2020). Twitter link via Ben Volin of the Boston Globe. Austin Seferian-Jenkins, TE (Patriots): One year. Worth $895K, only guarantee via $50K signing bonus. Veteran minimum salary of $805K with $40K in per-game roster bonuses. Cap number of $707K. Twitter link via Volin. 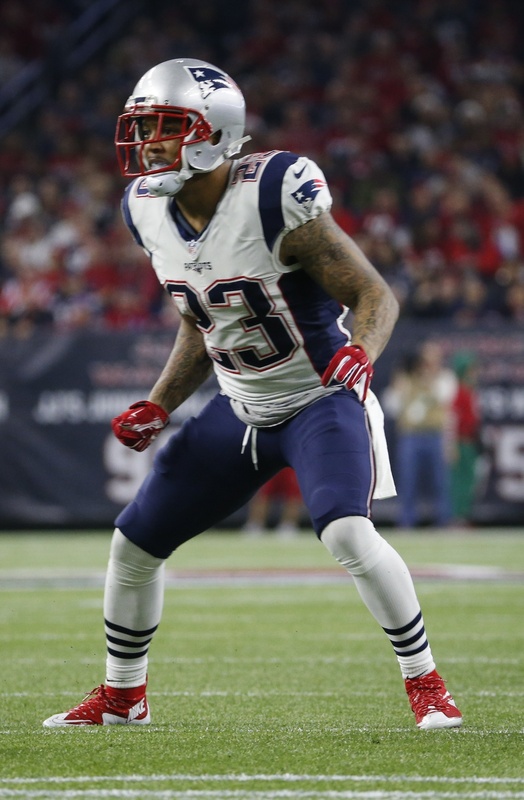 Patrick Chung, S (Patriots): One-year extension. New “three-year” contract worth $12.9MM, with $6MM in new money. $4MM signing bonus. New 2019 cap number increases to $4.48MM. Twitter link via Albert Breer of TheMMQB and ESPN’s Mike Reiss. Ty Montgomery, WR/RB (Jets): One year. Minimum deal with $90K signing bonus/roster bonus. Twitter link via Manish Mehta of NYDN. 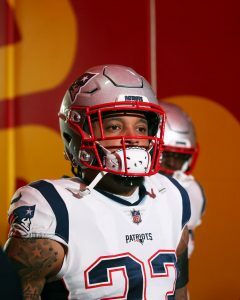 Veteran safety Patrick Chung has agreed to terms on a one-year extension with the Patriots, ESPN’s Field Yates tweets. This deal will keep the veteran safety in New England through the 2021 campaign. Chung signed a similar extension with the team during the 2018 offseason, keeping him with the team through the 2020 campaign. The safety has spent nine of his 10 seasons with the Patriots, appearing in five Super Bowls with the team. The 31-year-old will keep a level of stability on a Patriots defense that has undergone several changes since they won the Super Bowl in February. Gone are several coaches, including defensive coordinator Brian Flores, who took the head coaching gig with the Dolphins shortly after the victory over the Rams. In fact, the team doesn’t have a defensive coordinator at the moment after Greg Schiano unexpectedly decided to not take the job. In Super Bowl LIII, Chung suffered a broken arm in the third quarter of the team’s 13-3 victory over the Rams. A few days later, he underwent surgery to repair the injury. He was also set to undergo another procedure this offseason, one on his shoulder. The pair of procedures are expected to keep him out through Organized Team Activities, but he should be good to go for training camp. In 2018, the longtime Patriots safety played in 15 games and started 14, registering one interception and 84 tackles. Still operating at a high level, he rated as the No. 30 safety according to Pro Football Focus, with an above-average grade of 72.7. Sam Darnold spoke with Adam Gase before the Jets ended up hiring him. The Jets‘ second-year quarterback said during an interview with SI.com he “interviewed” Gase prior to the team naming him as Todd Bowles‘ successor. Darnold and Gase share an agent, CAA’s Jimmy Sexton. Rich Cimini of ESPN.com wonders how much of a factor that was in the Jets going with Gase, positing that this connection should not be dismissed in tracing how the Jets arrived on Gase. CAA client Peyton Manning also called Jets CEO Christopher Johnson to endorse Gase, Cimini notes. Gase was Manning’s OC for two years in Denver. A previous report indicated Gase’s interview distinguished him from the other candidates. Gase and Darnold will now go about attempting to revive the Jets. Although Isaiah Crowell set the Jets’ single-game rushing record with a 219-yard performance against the Broncos in October, Cimini does not expect the team to keep the veteran running back around for 2019. Crowell tied his career-high yards-per-carry figure with 4.8 but only amassed 685 rushing yards last season. The Jets can save $3MM by releasing Crowell before March 15, when $2MM of his $4MM 2019 base salary becomes guaranteed. The Jets have been the team most linked to Le’Veon Bell, and the team now has $99MM-plus in cap space. Patrick Chung recently underwent surgery to repair a broken forearm, but the Patriots safety will go back under the knife soon. Chung will undergo an additional procedure to address a shoulder issue that bothered him during the season, Jeff Howe of The Athletic reports (subscription required). It’s the shoulder issue, and not the forearm break, that is expected to sideline Chung for a while. The 31-year-old defender is not expected to participate in Patriots OTAs or minicamp. The Patriots are going to have to make moves to address their wide receiver situation. Chris Hogan, Phillip Dorsett and Cordarrelle Patterson are UFAs-to-be, and Josh Gordon‘s return should not be considered likely at this point. Hogan was a key contributor for the Patriots in 2016 and ’17 but could not re-establish himself as a reliable option down the stretch this season. Hogan finished the campaign with a six-target, zero-catch Super Bowl after compiling just 58 receiving yards in the AFC playoffs, and Howe expects the Pats to allow him to depart in free agency. While there could be significant roster turnover in New England, with several coaches already leaving as well, Tom Curran of NBC Sports Boston notes this offseason is expected to feature far less drama than last year’s did. Last year featured more fallout from the Jimmy Garoppolo trade, a lengthy Tom Brady absence and Rob Gronkowski considering retirement. After the Pats’ latest Super Bowl title, their situation looks more stable, even if Gronk is once again pondering leaving the game. The Bills made multiple moves in order to trade up and land Josh Allen in the 2018 first round, but Brandon Beane may be looking to move back this year. The third-year Bills GM said recently the team does not need to pick in the top 10, and Mike Rodak of ESPN.com expects Buffalo to engage in trade-down discussions from its No. 9 overall slot. Longtime Patriots safety Patrick Chung underwent surgery for the broken arm he sustained during Super Bowl LIII, the player confirmed in a post on Instagram. That is the first of two surgeries for the veteran defender, who is also in need of shoulder surgery. Both procedures are expected to keep him out through Organized Team Activities, but he should be good to go when the team opens up training camp. Chung suffered the gruesome injury in the third quarter of New England’s 13-3 victory when he attempted to tackle Rams running back Todd Gurley. His arm was wedged between the All-Pro back and a teammate. The arm was placed in an air cast and the safety left the field under his own power. The 31-year-old safety finished his ninth season with the Patriots in 2018, recording an interception and a half-sack while playing 15 games. He received an above average grade from Pro Football Focus, which ranked him as the No. 30 safety in the league in 2018.Chung is signed through the 2020 season and is owed $3.8MM. Patriots wide receiver Josh Gordon could return to the field by training camp, although that’s far from a certainty, according to Ian Rapoport of NFL.com. Gordon was banned indefinitely from the NFL in December after violating the terms of his conditional reinstatement under the league’s substance abuse policy and is still in a rehabilitation facility. While it’s unclear when Gordon will leave rehab, it could be in the near future, at which point he plans to train in Florida. New England is supporting Gordon and paying for his treatment, so a return to the club is certainly possible. From a contractual standpoint, Gordon will be a restricted free agent this offseason. After suffering a broken forearm in the Super Bowl, Patriots defensive back Patrick Chung will undergo corrective surgery on Thursday, a source tells Jeff Howe of The Athletic (Twitter link). Chung will have another operation in roughly three weeks to fix a shoulder issue, per Howe. That latter surgery will likely keep Chung out of organized team activities, although he’s expected to be ready for training camp. The 31-year-old Chung appeared in 15 games for New England last year, playing on roughly 85% of the club’s defensive snaps. Pro Football Focus graded Chung — who’s under contract through 2020 — as the NFL’s No. 30 safety. Josh McDaniels received a new contract from the Patriots after spurning the Colts last offseason, and Albert Breer of TheMMQB.com reports McDaniels is being paid roughly $4MM per year. While coordinator and head coach salaries are often difficult to unearth, it’s hard to imagine any other coordinator in the NFL is collecting $4MM annually. After turning down the Colts in 2018, McDaniels has reportedly become even more selective regarding his head coaching prospects. This year, he only took one interview (with the Packers) and rejected a request from the Bengals. As part of a contract extension he signed last summer, Dolphins cornerback Bobby McCain had $3.018MM of his $5.475MM 2019 base salary fully guaranteed this week, tweets Joel Corry of CBSSports.com. McCain, 25, inked a four-year deal in July that guaranteed him nearly $10MM. With an average annual value of $6.75MM, McCain is one of the NFL’s highest-paid slot corners. Former NFL wide receiver Tiquan Underwood is joining the Dolphins‘ staff as an offensive quality control coach, per Field Yates of ESPN.com (Twitter link). The ex-Rutgers speedster spent time with the Patriots in 2011 and 2012, which is where he first met new Miami coaches Brian Flores and Chad O’Shea. A calf injury forced Marcus Cannon to miss the Patriots‘ preseason slate and resurfaced in New England’s Week 1 win over Houston. But the Pats’ right tackle starter looks on track to return on Sunday night. Cannon made progress this week, per The Athletic’s Jeff Howe (subscription required), and the Patriots announced he did make the trip to Detroit on Saturday. LaAdrian Waddle started for Cannon against the Jaguars. Cannon was signed to an extension to be the Patriots’ long-term right tackle, but he played in only seven games last season. It looks like he’ll have a chance to establish some consistency beginning in Week 3. Although Brandon Beane serves as the Bills‘ GM, it’s Sean McDermott who establishes the franchise’s tone “from top to bottom,” Tim Graham of The Athletic writes in an expansive piece about how the Bills’ rebuild is going thus far. The offseason mistakes Beane made in adding Vontae Davis, Jeremy Kerley, Corey Coleman and Russell Bodine may increase McDermott’s voice within the organization, Graham adds. It will be a stretch for Trey Flowers to play this week. Howe notes Bill Belichick hasn’t deployed a player who’s missed an entire week of practice in at least 10 years. The Patriots’ top pass rusher was sidelined all week because of a concussion. Patrick Chung is in the same boat. Of course, the concussion protocol being in place means it’s not up to Belichick whether or not Chung and Flowers can suit up Sunday. Both are listed as doubtful to face the Lions. A Flowers absence could free up a spot for 2017 third-rounder Derek Rivers, who has yet to play in a regular-season game. The Dolphins‘ intentions for Raekwon McMillan — set to be their starting middle linebacker in 2017 prior to a season-nullifying injury — was not to play him in their nickel package, Armando Salguero of the Miami Herald notes. However, McMillan is now being used as a three-down player this year. Pro Football Focus has graded McMillan as one of its worst coverage ‘backers through two games, and Salguero adds Jerome Baker was brought in this year via third-round pick to help in coverage. While McMillan remains a part of Miami’s nickel set, Baker is pushing for a role there, per Salguero, as passing-down backs like James White, Giovani Bernard and Tarik Cohen loom on the Fins’ first-half schedule. On the subject of nickel work, the Patriots‘ bringing back Cyrus Jones for a possible nickel role, Howe adds. Although the former Pats second-round pick was re-signed to serve as the punt returner, he worked as a safety and was given a chance to play in the slot during practice this week. Third-year Patriot Jonathan Jones currently serves as New England’s slot man. He’s graded well through two games, per PFF, which slots him as the NFL’s No. 21 corner thus far. Jonathan Jones, though, was in coverage during Dede Westbrook‘s back-breaking touchdown last week. Patrick Chung will be sticking around New England through the 2020 season. NFL.com’s Ian Rapoport reports (via Twitter) that the Patriots have signed the veteran safety to a “short-term” extension. The new deal is worth $11.5MM through 2020, according to Jeff Howe of the Boston Herald (on Twitter). Chung was originally set to earn $2MM in 2018, which was the final year of his former deal. It now appears that year has been ripped up as he’ll earn $5.4MM in the coming year. All in all, it’s an extra $9.1MM in new money for the 30-year-old (31 in August). The 2009 second-round pick spent the first four seasons of his career in New England before signing with the Eagles in 2013. However, he was released by Philly less than a year later, and he landed back with the Patriots. Since 2014, Chung has been a dependable presence on the Patriots secondary, missing only one regular season game during that span. He had another productive campaign in 2017, compiling 84 tackles, nine passes defended, and one interception in 16 games (11 starts). Pro Football Focus ranked Chung 42nd among 87 eligible safety candidates, which was a huge improvement over his lackluster rating from 2016. As Field Yates of ESPN.com reported last week, the Patriots are affording safety Patrick Chung the opportunity to earn an additional $800K in 2017 through newly-formed incentives. Today, Mike Reiss of ESPN.com passed along the details of those incentive opportunities. Most of Chung’s incentives are based on playing time, as he’ll earn $200K if he plays 65% of New England’s defensive snaps, $400K if he plays 75%, and $500K for 85 percent. Additionally, Chung can bring in $300K if he plays 80% of the club’s defensive snaps and the Patriots win 13 games, and $300K if he sees action on 80% of New England’s defensive plays and the team reaches the Super Bowl. Based on Chung’s 2016 playtime percentages and the Patriots team performance, all of those incentives will be considered “likely to be earned” because Chung played 96.5% of New England’s defensive snaps a year ago, while the team won 14 games and won the Super Bowl. Chung played more snaps in 2016 than he had in either of the prior two seasons, as he reached only 81% playtime in 2015 and 78% in 2014. The Patriots have often shown a willingness to restructure veteran contracts without asking for concessions in exchange. Recently, New England added extra incentives to Rob Gronkowski‘s contract that would enable him to become the highest-paid tight end in the NFL. In 2014, the Patriots eased the playtime thresholds on offensive tackle Sebastian Vollmer in order him to more quickly reach his incentives. Daryl Washington hasn’t played in an NFL game since 2013, but a potential comeback attempt got some hope following his reinstatement in April. Now, the 30-year-old isn’t only focused on making it back to the league, but he’s focused on becoming a dominant force. In fact, Washington has even outlined how the entire comeback attempt will play out. The Dallas native wants to sign with the Cowboys, win the Comeback Player of the Year award, earn a Pro Bowl birth, and lead his team to a Super Bowl championship. “I think that star will be on my helmet real soon and it’s going to be a great moment, man,” he said. Williams also indicated that he was ready to give up on the Browns during the 2016 season. “There was a point during the season last year where I wanted to be released,” he said. The 34-year-old appeared in 12 games (seven starts) last season, compiled 36 tackles, five passes defended, and one interception – his lowest totals since 2007. Patriots safety Patrick Chung was given “a chance” to earn an additional $800K in incentives this upcoming season, according to ESPN.com’s Field Yates (via Twitter). This will now bring the veteran’s potential incentives total to $1.7MM. Chung, who has two years remaining on his contract, compiled 91 tackles in 16 starts for New England last season.